Everybody knows that Mac OS/X is essentially Linux under the hood, but how does it stack up as a development platform? Does it make up for the scripting and package limitations of Microsoft Windows, or are all the goodies hidden away and out of reach? Furthermore, does it give the programmer/developer a comfortable and stable environment to work in? 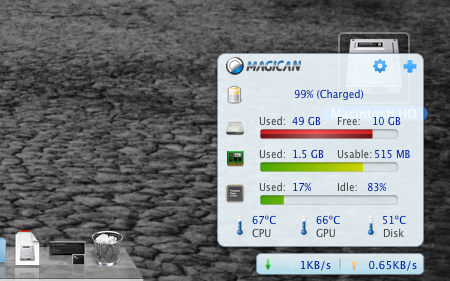 There is a rather neat system monitoring tool, Magician Monitor, which is free to download and gives a handy view on how much network, CPU and disk you're consuming - as well as temperatures of the core components. It docks handily in the bottom right of the screen, displaying a live view of your choice metric, and hovering over it shows all of the other information. If this sounds like a useful thing for you, download it from magicansoft.com. However, it turns out that there's a built-in monitor, Activity Monitor, easily found from the Spotlight tool. It is a full-windowed app, showing process information as well as graphs of the key system data. You also have the option of turning the app's dock icon into a live graph of your choice metric. 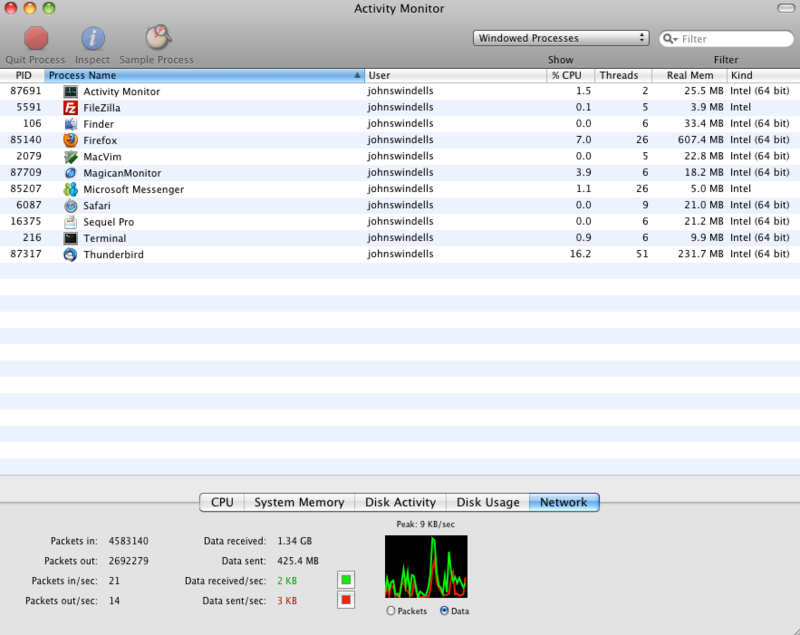 There is also an optional CPU graph that you can have planted on the desktop. The app doesn't provide temperature information, but otherwise does everything that Magician Monitor does.